Hospitality leaders can review a new listing of waiter and waitress uniform ideas for 2019. Cool fabrics and bright, fresh colors could be the right choice for wait staff serving customers on hot days. Newly uploaded selections for waiter and waitress uniform ideas can be reviewed on the Uniform Solutions page at http://www.uniformsolutionsforyou.com/wait-staff-uniforms/. Restaurant leaders may be searching for relaxed and casual employee clothing to match the Spring and Summer seasons. Indoor and outdoor dining during warmer months can take a toll on staff uniforms. More cooling materials and lighter styles can help keep wait staff fresh and professional looking in hot weather. 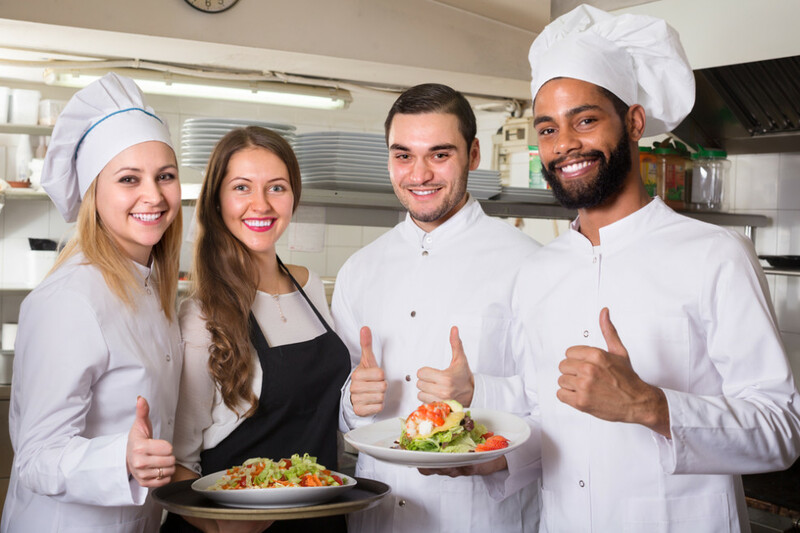 Persons can learn more regarding restaurant uniforms by going to the newly revised and industry-specific page at http://www.uniformsolutionsforyou.com/restaurant-uniform/. Here is the background for this release. Cold weather may be on the way out as warmer temperatures take over by May. Restaurant managers could be revising menus to prepare for a busy spring break. Outdoor patios might be spruced up to welcome summer guests. Updating employee uniforms to meet the needs of a hard-working restaurant team could be on the list as well. Managers might be searching for the latest trends in waitress and waiter uniform ideas to get started. For these reasons, Uniform Solutions for You has announced a new assortment of waitress and waiter uniform ideas for spring and summer 2019. Breathable fabrics could prevent wait staff from overheating while taking customer orders. Colorful polo shirts made of Egyptian cotton paired with moisture wicking shorts can keep waitresses dry and comfortable. Camp shirts can give waiters a fun and professional summer look. Hospitality staff can remain comfortable and stylish while running orders on hot summer days. New waiter and waitress uniform ideas for Spring and Summer 2019 are ready to be reviewed. Uniform Solutions for You, a leading restaurant uniform supplier, is a division of Santa Rosa Uniform & Career Apparel, Inc. The division focuses on but is not limited to, the online sales of employee uniforms in key industries: casino, hotel, and restaurant. Custom employee uniforms can also be found. The website has a unique consultation request feature, wherein interested parties can talk with a human uniform ‘idea consultant’ to brainstorm uniform options for employees. Attire includes waiter and waitress uniforms online. The uniform supplier services are large to small local businesses searching for standard-to-unique staff attire choices.